The focus in Australia and New Zealand this week has been on remembering the commitment and sacrifice of the men and women in our armed forces. 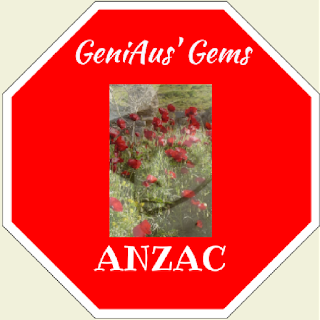 As there has been no Trans-Tasman ANZAC Day Challenge this year I have decided to make this issue a compilation of blog posts with an ANZAC Day theme. I am including all of the posts I have read but apologise if I have missed any. Please let me know of any I may have overlooked and I will add them. The Ancestor Digger Honouring the WWI ANZACS in our family, and the 10 who lost their lives serving - "Lest We Forget"
Experts in Genealogy: John Francis Walsh - Gallipoli 100 Years on. Little Wandering Wren: ANZAC Day: Lest we forget. Lost Medals Australia: An ANZAC Day find. Travelgenee: #AtoZChallenge U for Uniform - Lest we forget. 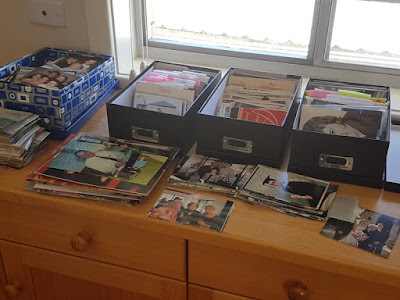 I thought I was so organised for this month's #AtoZChallenge but, with moving house, a flurry of visitors and it being school holidays here it was a huge challenge to get through it. 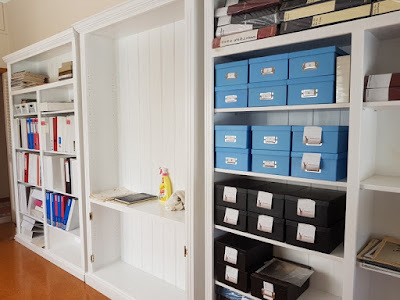 Well I have just scheduled the final post so now I can breathe a massive sigh of relief and get on with my packing and decluttering and maybe even a little bit of research. I haven't been a very collaborative participant as I haven't visited and commented on many other blogs. I'll try to catch up this week. I have enjoyed the exercise as it has given me a chance to relive some of my travels. 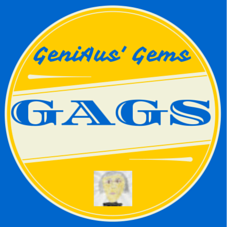 Mr GeniAus my travel partner, has also got into the spirit of the challenge by reading the posts each day and helping with suggestions of topics for some of the more difficult letters of the alphabet. So far I have published 21 posts in the series and have 5 more scheduled. Should you feel like seeing what I have posted here are the links to date. In the Second World War my Dad, Allan John Curry, served in the 2/7 Field Regiment. I checked to see if Trove could shed any light on his regiment. As my blog is archived on Pandora I found a couple of my blog posts in the results. This post should join them when it is next archived. Dad was in the Regiment in Borneo in 1945. This photo", SADAU ISLAND, BORNEO. 1945-04-30., from the Australian War Memorial Collection. shows EQUIPMENT COMING OFF LANDING CRAFT MEDIUM FOR 2/7 FIELD REGIMENT. I wonder if Dad and his mates were there for the unloading. Dad was definitely a gunner in Tarakan at the time of this photo, TARAKAN, BORNEO. 1945-05-06. DEFENCE POSITIONS OF 2/7 FIELD REGIMENT, ROYAL AUSTRALIAN ARMY, ON THE WESTERN END OF RIPPON FEATURE OVERLOOKING STRIPS TOWARDS THE WEST. TARAKAN ISLAND, BORNEO, 1945-05-02. GUNS 1 AND 2 OF CORPS TROOP, 2/7 FIELD REGIMENT, ROYAL AUSTRALIAN ARTILLERY SHELLING TARGETS BEYOND THE AIRSTRIP DURING THE FIGHTING FOR TARAKAN HILL AND OILFIELDS. IDENTIFIED PERSONNEL ARE:- GUNNER W.V. BRYANT, (1); GUNNER D. ARNOLD, (2); GUNNER J.H.J. HAUSEN, (3); SERGEANT L. BICKLEY, (4), give me an idea of the environment in which he worked during the conflict. Most of the newspaper articles mentioning the regiment related to social activities, the welfare committee, individuals' stories and postwar activities. The following tributes remind us of the cost of war. I also discovered that there was a regimental history history written in 1952 and that it is held in our State Library of NSW. Here is the bibliographic record from Trove. The history of the 2/​7 Australian Field Regiment /​ edited and written by David Goodhart. xix, 380 p.,  p. of plates : ill., maps, ports. ; 24 cm. Australia. Army. Field Regiment, 2/​7th. Australia. Australian Army. 2/​7th Field Regiment. Australia. Australian Army. Field Regiment, 2/​7th. World War, 1939-1945 -- Regimental histories -- Australia. Approved by the Official War Historian, Canberra, A.C.T. Trove also carries several articles about the author and publication of the above work. Friday when I usually post my GeniAus' Gems flew by as did Saturday. Now on Sunday morning I have found some time to share some blog posts that resonated with me up to Friday 21 April. This week I found several posts where bloggers' stories contained shared tips/reminders for researchers and also I learnt about people and places from other stories. 1. 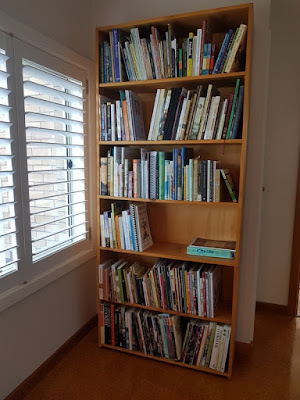 Two posts of most interest to we who blog came from my genimates James and Julie. 2. A different perspective on digging up the ancestors. 3. Remembering Henry at Canada Bay. 4. Chris reminiscences on Easter. 5. Learning from the challenge. 6. Another treasure from Alona's chest. 7. Kylie revisits the records. 8. A Kiwi genie visits Canberra. 10. Witnessing a gruesome scene. 11. Jen checks the facts. 12. Pauleen returns to blogging with two bumper posts. My back is aching, my shoulder blades are sore and even my hands are hurting but I am well on the way to setting up my new geneacave. Orphan photos to date and sort. 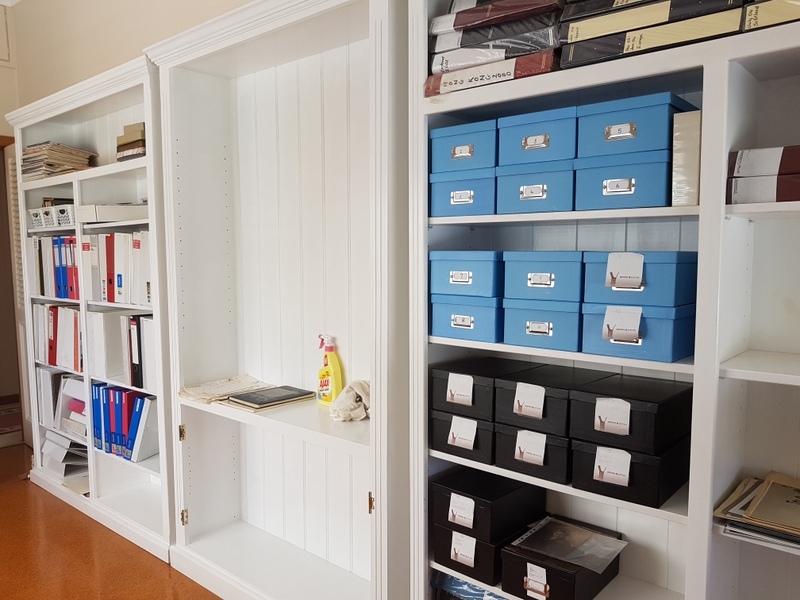 I have the challenge of one more large bookshelf to pack up, a cupboard that houses my gadgets and sougenirs to sort out and my desk to empty. Once that is all boxed up I can unpack it into my new office and get back to research and blogging in earnest. My Grandmother's Birthday Book was a post I read on Michelle's Heritage way back in 2011. 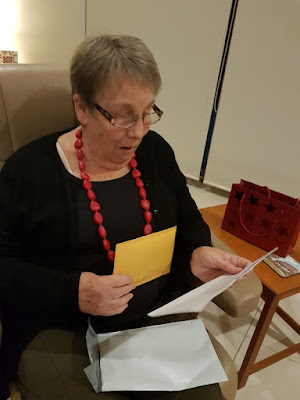 As I am in possession of My Grandmother's Birthday Book I thought it also worthy of a blog post. My Nanna's book is an ordinary little volume with a dark green cover. It gives me an insight into her life. The Birthday Book, Links of Memory, was published in London in 1890 and is still available from Amazon.co.uk. It has a religious theme, each date being accompanied by a religious text. I love opening this insignificant book,seeing my grandmother's familiar handwriting and researching the names recorded. Many of these are her cousins some are residents of Dungog the town where she grew up. The dates in the book have been most helpful as I research family members. The Missing Man: A Morton Farrier novella, before retiring. Well that was the end of my early night. The book was unputdownable, I just had to keep on reading right up to the last page. I don't know if Nathan has excelled himself with this latest adventure of Morton Farrier or, now that I have read all the previous stories, I am so familiar with the characters that they are like old friends and I have to keep up with their latest exploits but this story drew me in, I just couldn't put it down. As with his other books I think that Nathan needs a bit of assistance to develop more attractive covers and layouts but one shouldn't judge ta his book by its cover. In this tale we join Morton and his now wife, Juliette, on their honeymoon in Cape Cod. As well as honeymooning with the ever patient Juliette Nathan takes the opportunity to try and track down his American biological father. As we join Morton on this journey we learn about US research and repositories and are with Morton when he meets various members of his extended family. The characters in this story are believable and the mix of dialogue and prose seems to work well. Nathan's writing has developed and improved in this work. I would recommend this story to anyone who enjoys a good mystery. Thanks Nathan for producing such a beaut story and for providing me with a review copy. I hope that there is another Morton Farrier story coming out soon. If you would like to purchase a copy of the book it is available for Kindle and Paperback in the US from Amazon and from here in the UK. We folk downunder can find the Kindle version on Amazon.com.au here. I'm taking an hour off from packing boxes of books and geneastuff to indulge in a little blog business. I hope that the posts I am sharing today will do one of these three things, Educate, Enthuse or Entertain, that Michelle Patient mentioned in a recent podcast. I've caught up on reading my overseas blog subs this week so have a couple of international posts to share as well as local items. 1. 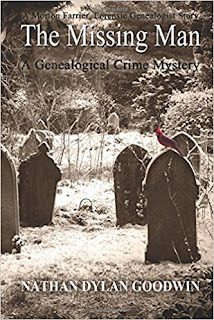 Lorine shares some exciting news for those with ancestors who may be buried in Highgate. 2. Libraries we love from my mates at Librarything. 3. Can you help James? 4. I don't think I can declutter to this level. 6. Genies in Geraldton reflect on their history. 7. A roadworthy story from Moya. 8. I'm ignorant in matters of music so found this educative. 9. A few suggestions for inclusion in your vocabulary. 11. What would Sydney be without the Royal Easter Show? Thanks fro the update, Pauline. 12. Something old is new again. My best friend recently celebrated a significant birthday. I wanted to mark her birthday with a special gift, something that would keep on giving. She and her husband have recently downsized and have gone down the minimalist path so a nice piece of china or a crystal vase wouldn't have been appropriate. A chance comment she made several months ago gave me an idea but I didn't know how it would be received. I purchased the present when there was a sale and put it aside. Although her birthday was in February I only saw her last week because we have both been travelling. When we finally got together and I handed over the gift I was quite nervous. She had a perplexed look on her face when I handed over the lightweight parcel. Of course she was polite and read the card first then, when she extracted the white plastic envelope from the gift bag, I encouraged her to open it. She stared at the small pre-addressed brown envelope that was inside before the penny dropped. When she realised what it contained she was surprised and thrilled. She is a genie and said that doing a DNA test was on her "To do" list. She promised to scrape her cheek and post it off the next day. My present was a HIT. 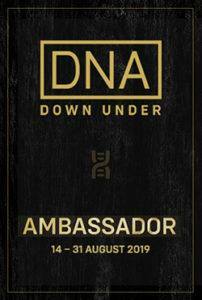 If you can't think of something for the persn who has everything how about surprising them with a DNA kit. Mr GeniAus and I are preparing for our permanent move to Carey Bay near Toronto, NSW. We have been dividing our time between our Sydney house and there. As one does I started thinking about the people who had lived in Carey Bay. I turned to Trove to learn about some of them. Firstly I found a photo of Miss Ethyl Thompson but due to copyright restrictions I cannot publish it. You can view it here: http://trove.nla.gov.au/work/15506519. In the Government Gazette I found a notice of Bankruptcy. There were several notices relating to probate and estates. There were also several mentions of local folk in the newspapers. The good news is that I found a photo of Ethyl in the newspaper. It seems as though the people from our neighbourhood are typical of Australians all around our country. I have realy enjoyed my blog reading this week although I have concentrated on blogs from below the equator. Some weeks there are so many posts that resonate with me while in other weeks there are slimmer pickings, this was a bumper week. 1. Please help Jenny find her soldier. 2. No doubt there will be a flurry of posts on this topic. This was the first I read. 3. 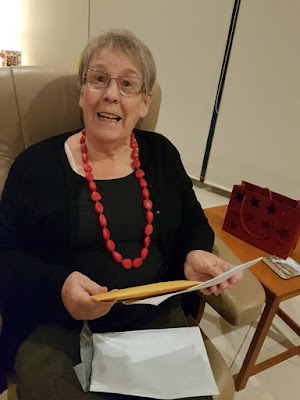 As I am in the throes of moving house this post from Diane struck a chord. 4. Manly Local Studies do a great job highlighting past citizens. 5. Third instalment in a charming series from Jennie. Read them all. 6. A new source of images for bloggers. 7. I loved the ovie, looks like I'll be reaing the book, thanks Alex. 8. Jess shares the tale of a skeleton. 9. Alona reminds us that boys will be boys. 10. It's time to get a new app under my belt. 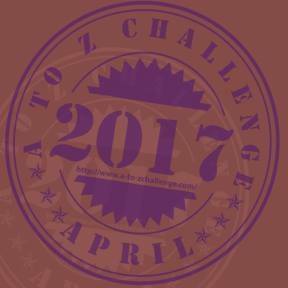 I have found that several of my genimates (and I) downunder are participating in the 2017 A to Z blogging challenge. Please give your support. Here are links to some maiden posts (where are the boys!). Finally congratulations to Chris who is celebrating her 1,000th post on her As they were blog. 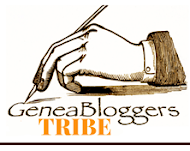 The frequency of posting here on the Geniaus blog is suffering this month because I decided to take part in the 2017 A-Z Blogging Challenge over on my neglected personal blog, jillballau. Each day except Sunday I will endeavour to post on that blog. I will be sharing photos of Windows that I have photographed on my travels and highlighting from A-Z the places where I found these Windows on the World. So far I have managed to post on the first five days plus I have seven more posts scheduled. When I get a few more posts under my belt I'll turn my attention back to genealogy. Tracing Ancestry in Scotland’s Heritable (Land) Records (Raymon Naisbitt) – Wednesday, April 12th at 1:00PM, B-2 Lab. This class illuminates the advantages and how to use Scotland’s heritable records. The Scottish made land conveyance a ‘science’ in that there are several record types which provide researchers with different perspectives on their ancestral lands and land conveyance over the centuries. Listen to what Raymon shares as he demonstrates how to use each record type in your Scottish genealogical research. Scottish Naming Customs (Craig Foster) – Thursday, April 13th at 1:00PM, B-2 Lab. Tracing Scottish ancestry prior to about 1780 can be a bit tricky if you don’t know how the Scots used naming customs for naming their children. Come and learn exactly how to properly and accurately construct your Scottish family genealogies. How to Trace Scotland’s Poor (Mark Gardner) – Friday, April 21st at 1:00PM, B-2 Lab. This must-see webinar promises to provide all Scottish researchers with skilled knowledge, key records and resources for tracing the less-fortunate in lesser-used but important records. Come and learn about all those records he identifies that will give you the best chance for successfully locating your Scottish poor. Your British/Irish Research Questions Answered (Craig Foster) –Thursday, 27th at 1:00PM, B-2 Lab. Are you lost in your pre-1800 research in England, Ireland, Scotland or Wales? 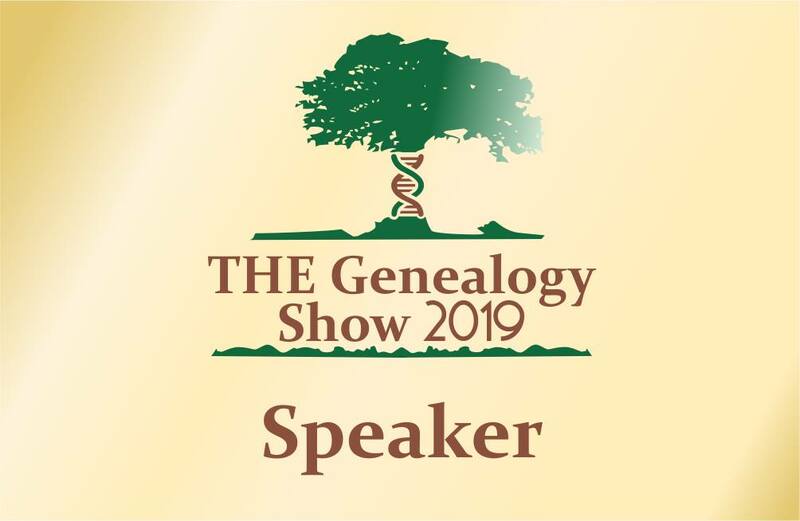 This is your big opportunity to gain direct access to one of the Family History Library’s professional genealogists to obtain answers to your brick wall ancestral research problem. 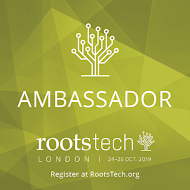 Listen while Craig, and other researchers in-house and online provide some new, innovative ways that will be sure to help you along your more difficult ancestral trails.